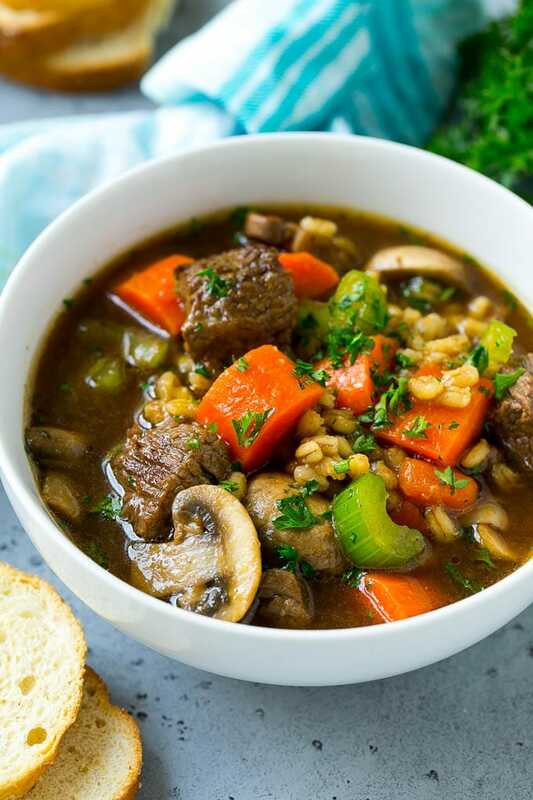 This beef barley soup is a hearty combination of beef, vegetables, barley and mushrooms, all simmered together until tender and flavorful. A hearty dinner option that’s easy to make and freezer friendly. My family could eat soup every night, some of our favorites include cabbage roll soup and chicken tortellini soup. Beef barley soup is also on the list, because it’s simple yet totally satisfying. Whenever I’m looking for a comfort food style meal that I know my family will approve of, I turn to this beef barley soup. It’s got bold flavors, fork tender meat, plenty of veggies and the barley adds such great texture. Kids and adults alike will enjoy this one! 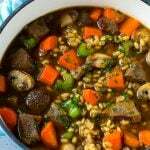 How do you make beef barley soup? Beef barley soup starts with a few pounds of stew meat, which gets simmered with vegetables until everything is tender. After the meat and veggies are ready, sliced mushrooms and pearl barley are added to the pot to cook until done. Add a sprinkling of parsley and dinner is served! Pearl barley is a type of barley that has been processed to remove the hull and bran. Pearl barley is faster cooking and has a better texture than unprocessed whole barley, which can sometimes be overly chewy. 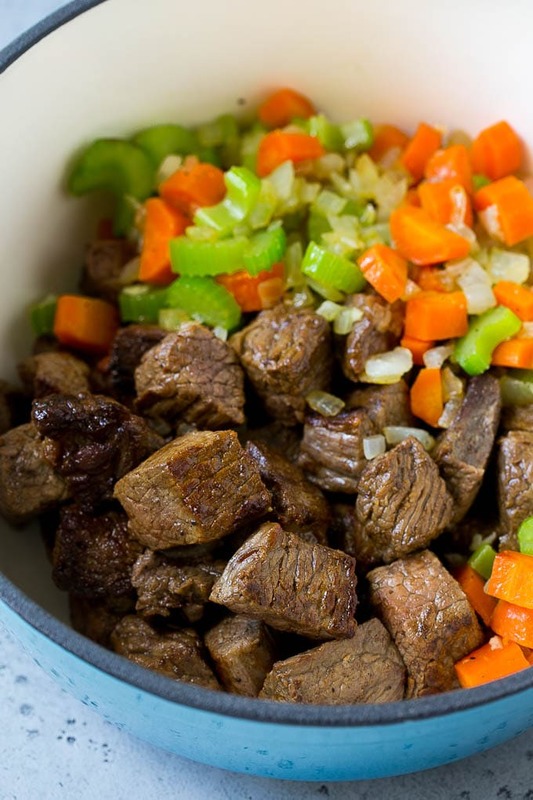 I use beef stew meat because it’s inexpensive and convenient. 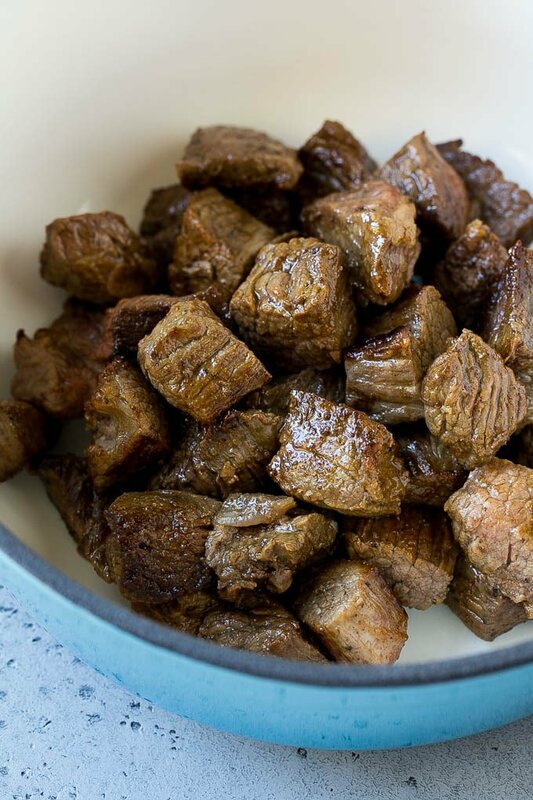 You can also buy a chuck roast and cut it into cubes if you prefer. I cut my vegetables on the larger side so that they don’t disintegrate into the soup while the meat is simmering. If you prefer firmer veggies, you can saute them, remove them from the pan, then add them back in halfway through the cook time. I typically use button mushrooms, but cremini mushrooms also work well. I like to serve beef barley soup with a side of fresh baguette or honey cornbread. Don’t want to wait an hour for your beef stew meat to get tender? Consider using ground beef instead. You’ll get a similar rich flavor with a fraction of the cook time. Substitute 1 1/2 pounds of lean ground beef for the stew meat in this recipe. 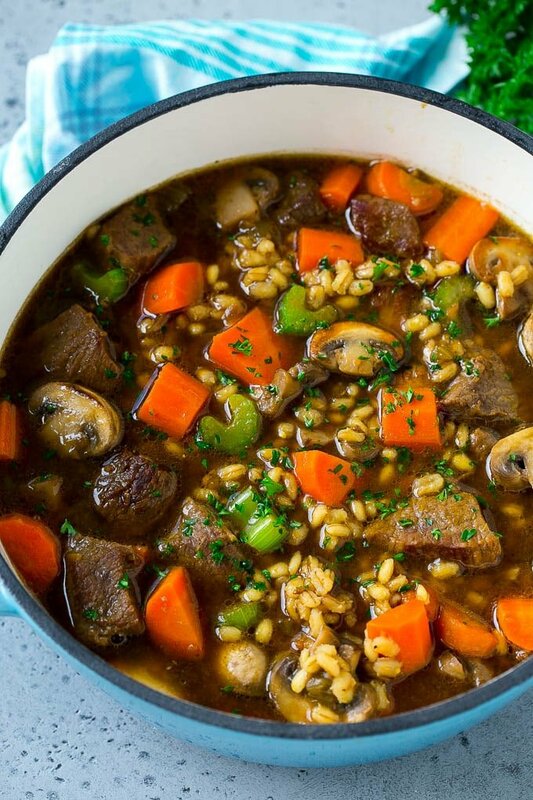 Beef barley soup is the perfect candidate for the freezer. You can either freeze your cooked soup, or you can do it meal prep style where you freeze all of the ingredients in one bag, then thaw everything and cook. 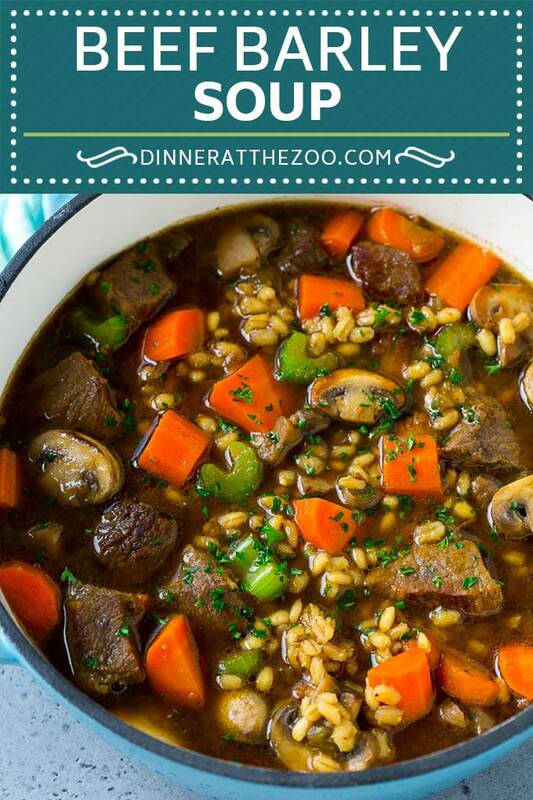 Here is my freezer meal beef barley soup recipe. This recipe can easily be adapted to use in the slow cooker. Simply brown your beef and vegetables as directed, then place all of the ingredients except the parsley into a crock pot. Cook for 6-8 hours on low, then serve. If you choose to make this soup in the slow cooker, the barley will have a softer texture than the stove top version, but it’s still totally delicious. 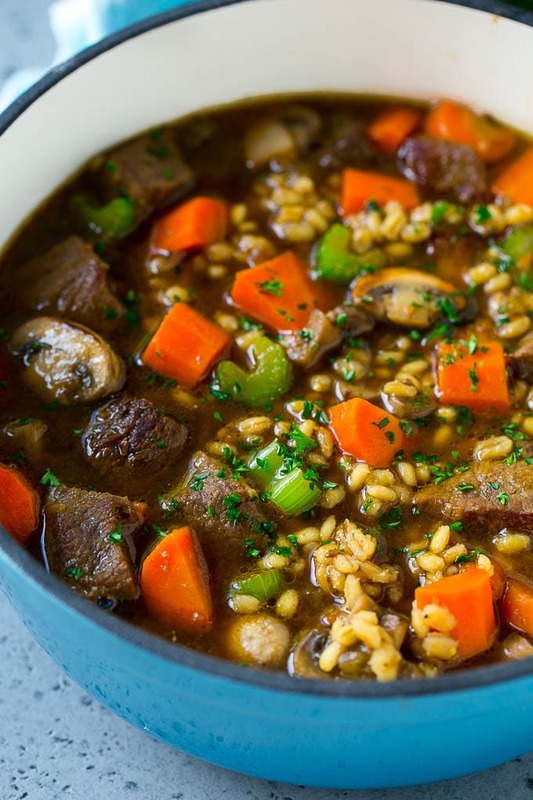 Once you try this beef barley soup, you’ll be hooked. It’s an interpretation of the classic recipe that’s anything but ordinary! 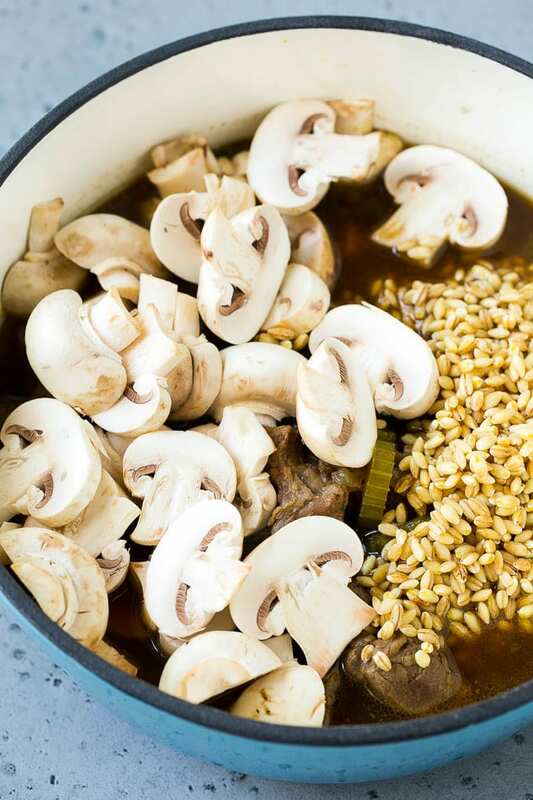 This beef barley soup is a hearty combination of beef, vegetables, barley and mushrooms, all simmered together until tender and flavorful. A hearty dinner option that's easy to make and freezer friendly. Heat the olive oil in a large pot over medium high heat. Season the beef stew meat with salt and pepper to taste. Place half of the meat in the pot in a single layer. Cook for 3-5 minutes per side, or until browned. Repeat with remaining meat. Remove the meat from the pot and cover to keep warm. Add the onion, carrots, celery and garlic to the pot. Cook for 4-5 minutes or until softened. At this point you can either leave the veggies in the pot to simmer with the beef, or remove the vegetables and add them back in later. It depends on whether you prefer softer or firmer vegetables in your soup. Add the beef, beef broth, bay leaf and thyme to the pot. Bring to a simmer. Cook for 60 minutes or until beef is tender. If you've reserved your vegetables, add them back in now. Add the barley and mushrooms to the pot. Cook for an additional 20-30 minutes until barley is tender. Season to taste with salt and pepper. Sprinkle with parsley and serve. Sounds perfect hope you enjoy! I was looking for a tasty soup recipe in these cold days, and this one looks perfect! Thank you! I’m screenshotting this wonderful recipe. It’s been a gloomy rainy days in Los Angeles, and soup would be good! This soup looks fantastic! Just what I’m craving today with the snow…it’s so hearty and wholesome. You have really inspired me to make soup now! This looks like such a healthy, fulfilling and tasty dish! I love a bowl of soup for lunch at this time of year. Looks so delicious! I would love to try it at home! nomnom! This is my favorite soup ever! 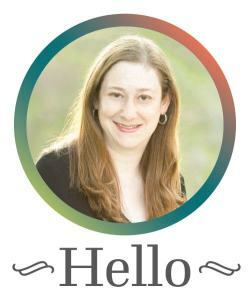 I love how the slow cooker makes your home smell amazing all day long! This can be a perfect recipe for a cold winter night’s dinner. I love beef, especially when it’s cold outside. It’s so hearty and flavorsome. I’d like to try pearl barley as well, as I never had it before. beef, vegetables, mushrooms…. these are all things i like. I can’t wait to try this out. Everything looks so good. It’s so cold here on the East Coast, so it’s definitely soup season. I do love a good Beef Barley Soup. This one looks delicious. This looks delicious. It is so hot here in Australia, yet I can still imagine a bowl of this comfort food right now! This recipe looks amazing, I’ll have to give it a try. Such a good idea to substitute ground beef. This looks awesome! I love the array of colors and all the veggies added in. And its crock pot adaptable… win! This is one of my favorite soups! I love beef and barely mixed together. It gives a really good flavor to a dish. Saving this to my pinterest! I love recipes like this because they’re so hearty and yet still so healthy. Red meat in moderation is excellent for your health, and all those veggies make it even better!